To be fair, they all probably have the same meaning, just presented in different ways. 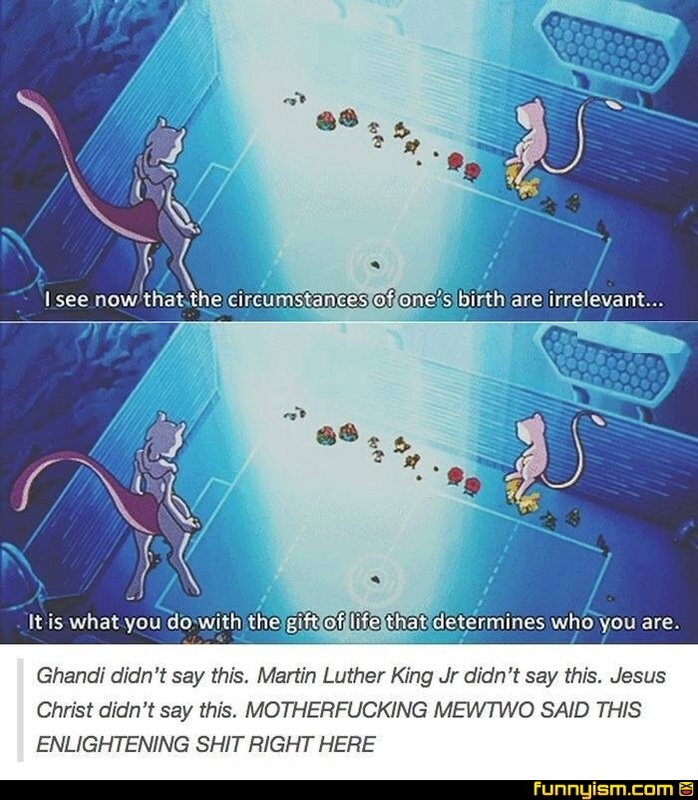 Mewtwo the new humanist of our times? Peter comes close. Acts 10:34-35. This line was my senior quote in high school. I just want a Mewtwo horror movie where he escapes and begins killing the scientists off 1 by 1 with psychic powers. And at the end I want to see a cloned Charizard, Venusaur and Blastoise in cloning tanks with their eyes opening. @CrazyCrichton , "Who am I? What is my true reason for being? I will find my own purpose, and purge this planet of all who oppose me...Human and Pokémon alike... the world will heed my warning. The reign of Mewtwo will soon begin!"